- This new Black Signature Wristlet matches the Signature Duffle Handbag. 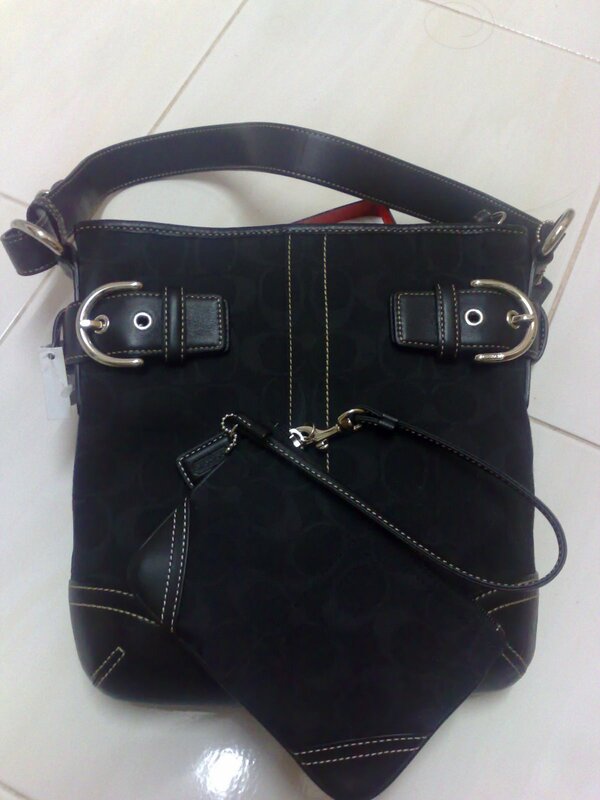 * 12” strap with clip that can be attached to larger bag, or simply to form a wrist strap for lunch outing or such. - Selling for only RM300!! 1. If you purchase this wristlet together with the Signature Duffle bag, I'll accept 2 times payment for total sales. 2. If you purchase both the items, and pay one time, another additional RM50 discount will be given, giving total price for both item for only RM1100!! 3. More??? Shipping will be free ontop of item no 2!! So why wait? hurry... email me at chomells@gmail.com for further inquiries.